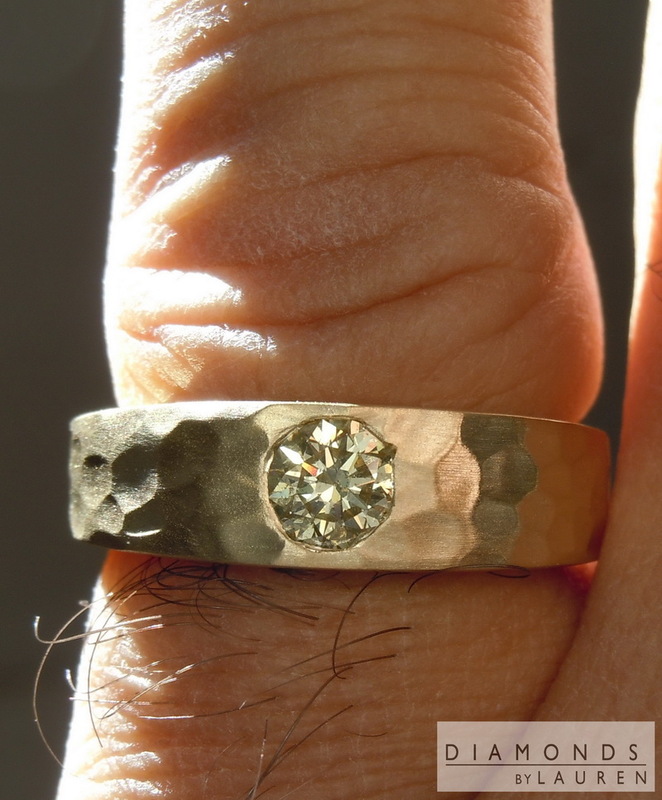 I love the rough hewn finish of this ring. 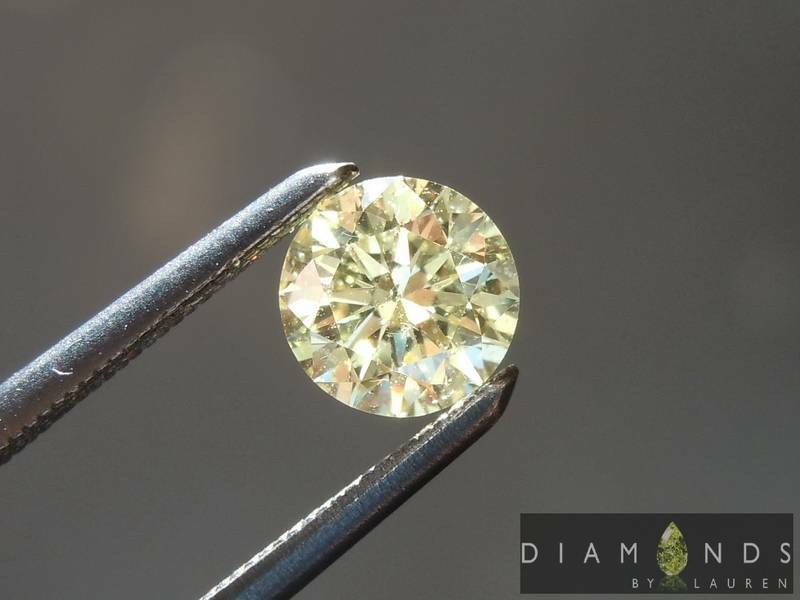 The stone itself now looks amazing – you could never tell that it is an I1 diamond. 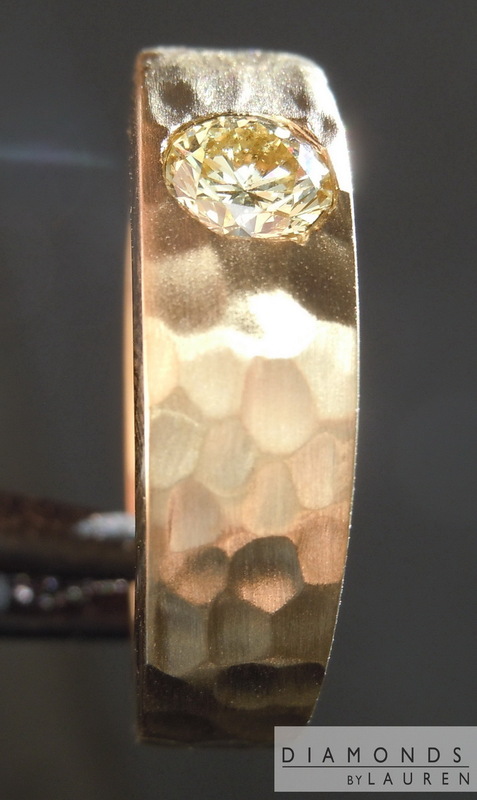 Plus, it looks quite yellow with a dazzling sparkle. In the close-up photos, the bezel looks a bit jagged. 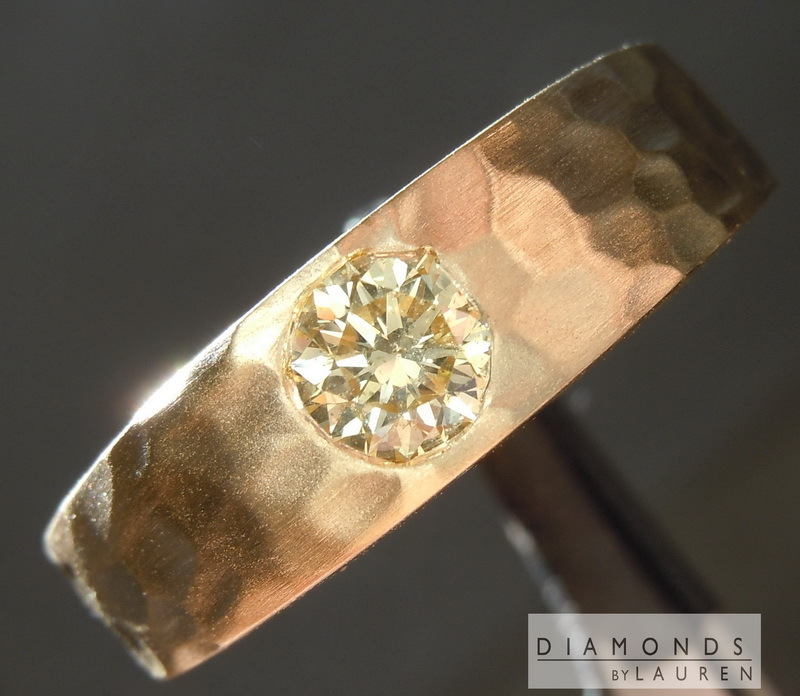 In person you would need A magnifying glass to see that, but even looking at it in the close-ups – it actually perfectly matches the personality of the ring. 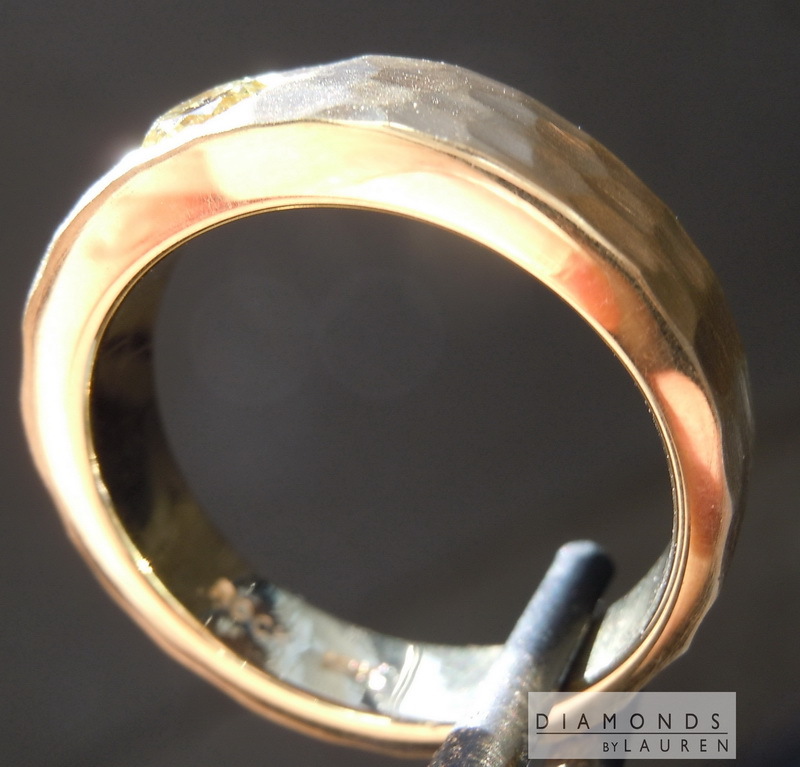 The ring is totally solid– 13.8 g of 18 karat yellow gold. 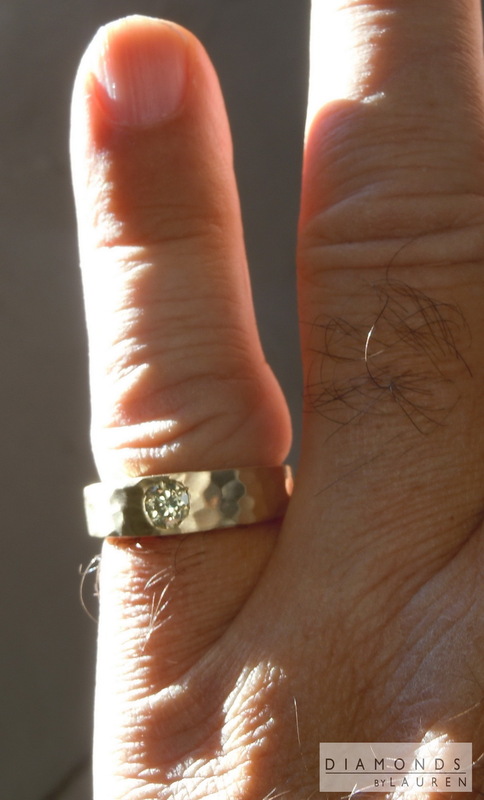 Put it all together, and this is now a screaming bargain for a man's ring. The imperfections are widely dispersed, so there's no single booger that you can see naked eye. Also, contrary to popular opinion, an I1 can indeed have great life and sparkle. 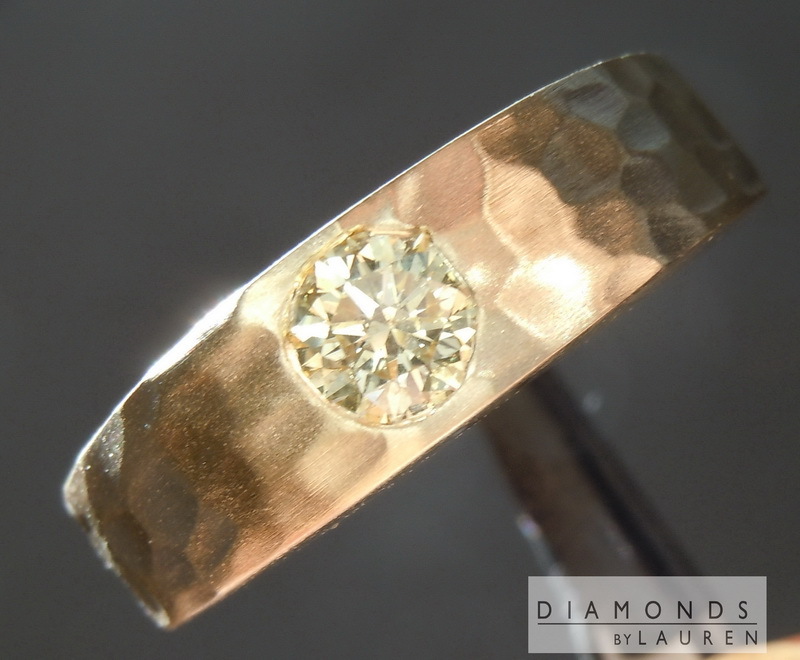 In addition, this one broadcasts it's yellow color proudly - and not all Y-Z grade round diamonds look very yellow. 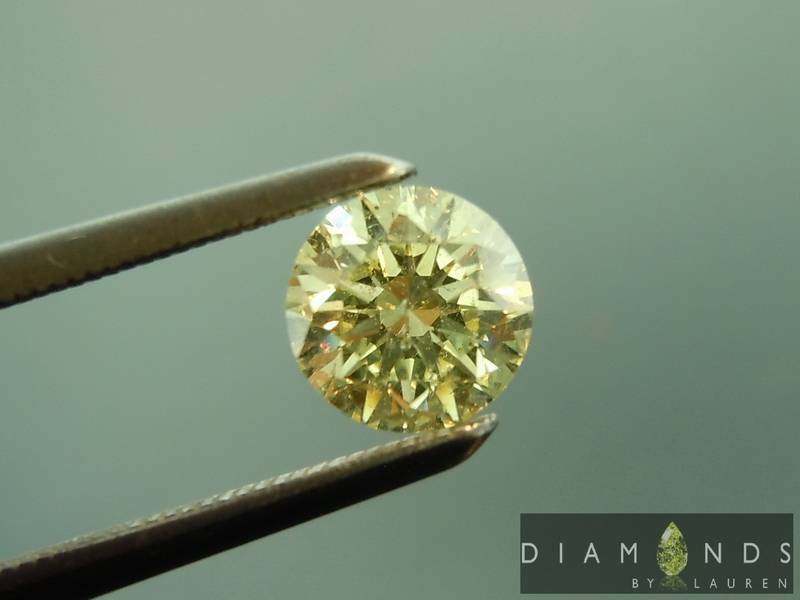 As it turns out, yellow round diamonds are far more rare than yellow cushion, or radiant cut diamonds in these colors. 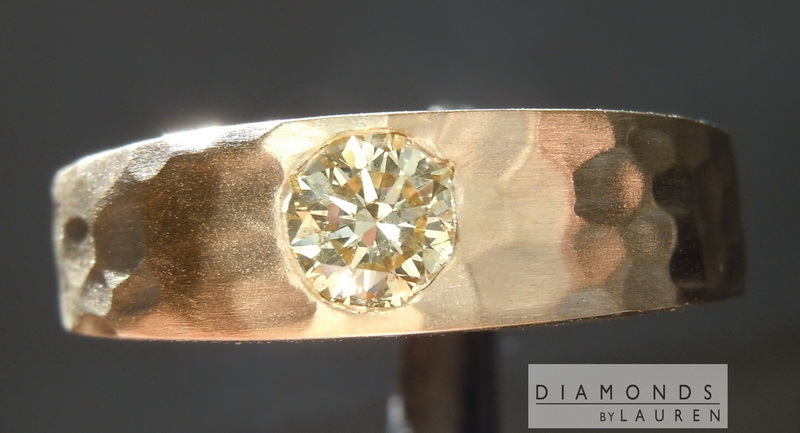 Consequently, natural fancy yellow round diamonds are worth a lot more than same color cushion/radiant cut. That makes this stone even more of a steal. 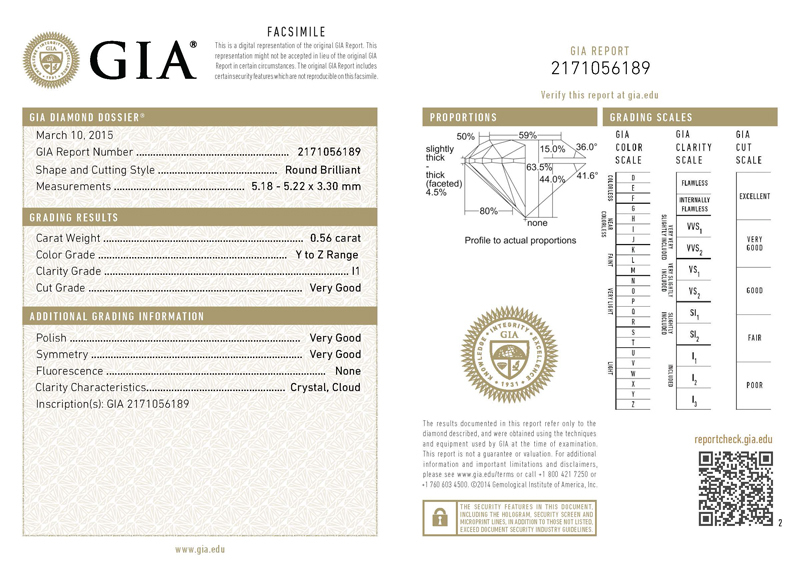 The stone is graded VG by GIA cut grade standards, which are for colorless round brilliant diamonds. For a Fancy Color round, the cut is really superb.